The media likes to bombard us with credit related advertisements. It doesn’t matter whether you’re watching TV, listening to the radio or playing a podcast, it seems like there are always ads for free credit scores, debt repair and things of that nature. I’ve always felt strongly though that I shouldn’t have to pay for access to my score and report. After all, the information contained in those documents is about me and my spending habits. It’s not like I’m asking to see someone else’s credit history. Yet many people apparently don’t mind paying for their score, otherwise how would all these ‘free credit score’ type companies still be in business and have enough money to run ads during the Super Bowl? I pretty much refuse to pay for any aspect of my score since companies like Credit Sesame and Credit Karma will give it to you for free and annualcreditreport.com will give you 3 free copies of your credit report each and every year. But obviously not everybody is on the same wavelength as I am, not yet at least. The only complaint I’ve seen about Credit Sesame is that they don’t actually give you your FICO score. Instead, you get Experian’s National Equivalency Score or as some people like to call it, your FAKO score. As the name would imply, this score is different than the FICO score lenders use when they review your credit history. But even though it’s not exactly the same as your FICO, it is a very good approximation. I’ve always felt that this FAKO score was good enough for me since it gets you in the ball park, but for those who want your actual FICO score for free, you’re in luck. If for some reason, that option isn’t working for you, you could also try manually changing the link to: https://www.barclaycardus.com/servicing/score and get your free FICO score that way. 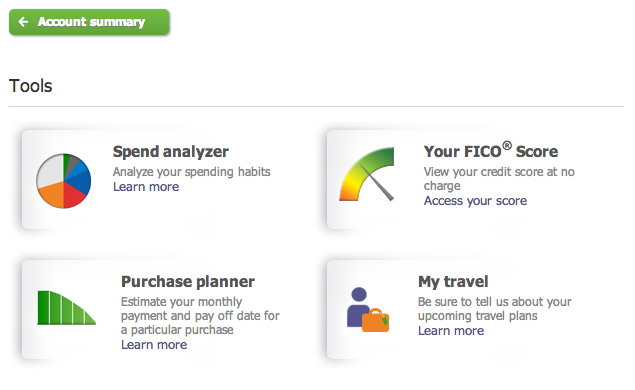 For now, Barclaycards is the only credit card issuer I know of that is offering a completely free FICO score. I don’t know that I would sign up for a Barclays card just to get this benefit but they do have a couple cards with very nice sign-up bonuses out there right now that might make it worth your while. I’m not sure how long these bonuses will last so I’d consider signing up sooner rather than later. If you’re looking for a great rewards card, the Barclaycard Arrival World Mastercard offers 2.2% cash back rewards on ALL purchases. I actually just signed my finacee up for this card and the 40,000 point sign-up bonus is going straight towards our honeymoon. In addition to all the normal benefits like extended warranties and insurance add-ons, you also get a 10% points redemption bonus and there are no foreign transaction fees. The annual fee is waived for the first year on this card but they also have a no fee option. The No Fee Arrival card only gives you 2.2% back on travel and dining but it also has no foreign transaction fees so it’s a good option too. 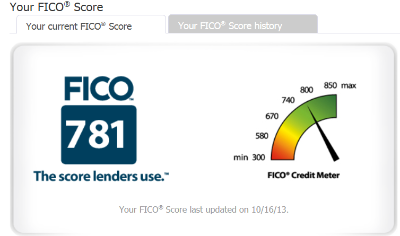 Readers, do you care about your FICO score or are you content getting your score from Credit Sesame? Do you think it’s worth it to sign up for a Barclays card if you can get 40,000 point bonus and a free FICO score? I never pay AF’s so at the 1 year mark, I ask them to waive the fee first, downgrade second and if they won’t do either then I cancel. If they’ll let you downgrade, might as well do it since it will only help your credit score over the long run(increased capacity, higher number of accounts, longer history as the card gets older). Yep! I’m thinking about doing the Chase Sapphire Preferred Visa next 🙂 It seems not bad because I can always combine the points into the Ultimate Rewards account on my Chase Freedom that I’ll never cancel since it has no annual fee. I’m really liking the Ultimate Rewards online shopping mall too! You can get more points for doing your online shopping through that instead of through the retailer directly. If only it worked on Amazon.com and Zappos.com haha! Have you done the Chase Sapphire Preferred Visa? What did you use the points for? Yes I just did the CSP(MC not Visa I believe btw) for my fiancee when they had a 55k point sign up bonus. CSP is great bc like you mention you can combine the points OR you can transfer to United, Hyatt, SW, etc. OR you can redeem against travel for 1.25 cents per point(similar to Barclay). When the AF hits, ask Chase to waive the fee, or you could downgrade to the chase preferred or last resort, cancel. Let me know how it goes! Nothing like $500(or more) tax free. If you want to increase your FICO score, you should be keeping your cards open for as long as possible anyway (e.g, you should always downgrade rather than cancel). Yep that’s right, some issuers won’t let you downgrade but will give you an AF credit if you threaten to cancel. I would never close a free account though.